On October 9th new Country Music Festival was launched with Kim,Marg, Babs & Bev attending. The festival will be called The Murrumbidgee Country Music Festival , it will feature new local artists & some big names in country music. To be held on Sunday 23rd September 2018 at Piccolo Family Farm here in Griffith. The organiser's hope to make this an annual event. Griffith Country Hope will have a sausage sizzle & soft drinks stall with the proceeds staying with us. We also have a donated three quarter length Nullarbor oilskin coat to raffle on the day, kindly donated by Griffith Feed & Grain . Above Kim, Marg & Babs along with Bev (behind the camera) launch Murrumbidgee Country Music Festival for 2018. Joedee from Griffith Grain & Feed and Bev. 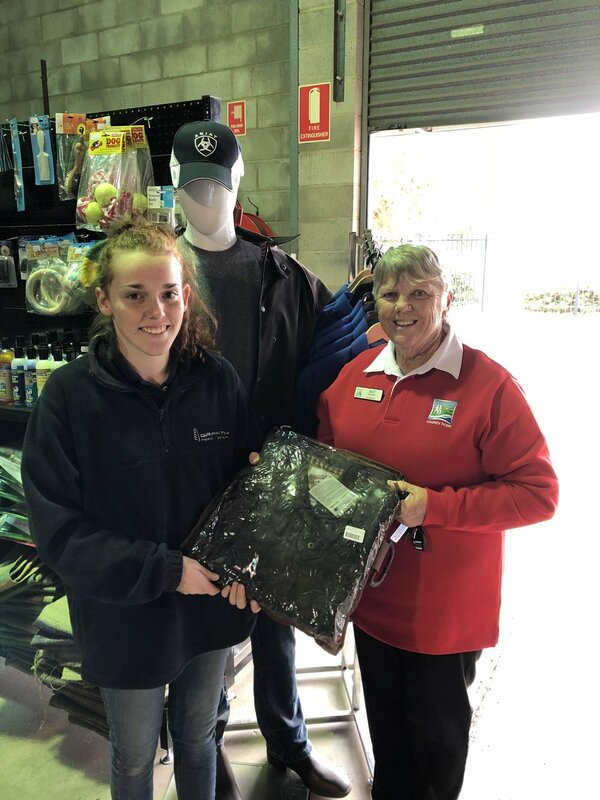 Joedee from Griffith Grain & Feed handing over the Nullarbor Coat for the raffle at the Murrumbidgee Country Music Festival, Griffith Fundraising Group thanks them for a very generous donation.